I read this article today that falls in line with my most recent blog post The End of Books. This is the story of a man, Brewster Kahle who is archiving every book ever printed. I guess this would be good if we all had to leave planet earth as many of the great science fiction stories have suggested. 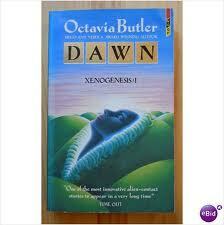 Or possibly a future Octavia Butler scenario via her great science fiction novel Dawn.